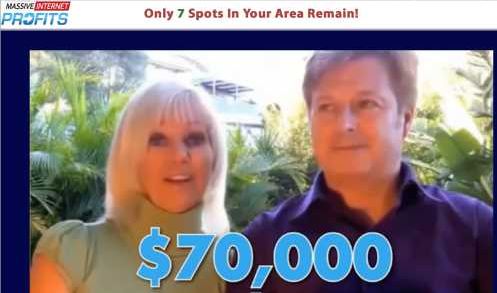 Home > Online opportunities > Is Your Dream Websites a scam? Review exposes the HIDDEN TRUTH! Is Your Dream Websites a scam that you need to avoid? Or is yourdreamwebsites.com your ticket to financial freedom? Before answering your questions, I must congratulate you for taking the time to do your own research before investing in another money-making system. There are sooo many frauds out there, so doing your due diligence is the way to avoid scams and find the proven way to make passive income online! When it comes to Your Dream Websites, it’s a rehashed program that I have come across before so I’m very familiar with the way it works. This honest review will show you what they haven’t told you that you need to know, all the red flags and other things you need to know to make an educated decision at the end. 2 What is Your Dream Websites about? 3 How does Your Dream Websites really work? 3.5 Can we trust Jake? 4 Is Your Dream Websites a scam? What is Your Dream Websites about? The moment I landed on the Your Dream Websites sales page, I thought I had already come across that page some months ago. I mean, it looked very very similar to other scam pages I have exposed, so I thought this one would not be different from the others. But I didn’t want to come to any conclusions without doing my homework so that’s what I did. The spokesman, Jake, claims he has created an online business for you. He’s opened a money-making account that had $0 on it and then he has clicked the mouse a few times to make the money enter your account. He even claims that this account is making you money while you watch that video. So is he making you money for free? Everything he says just sounds too good to be true, doesn’t it? He supposedly is going to do all the work for you so you don’t need to do much work to make this system work for you. According to him, you only need to check on your stats to see if the money is coming or not. Doesn’t it sound way too easy? I mean, if it were that easy then everyone would be doing this, don’t you agree? So he supposedly is giving you the chance to use his websites, which have apparently made him $10,000,000 in 4 years. He claims you haven’t made any money online because there are lots of scam artists who promise you million overnight, that’s how he tries to make you believe that he’s not going to scam you. However, he’s doing the same as the other scam artists so I can’t see how he’s different than them. 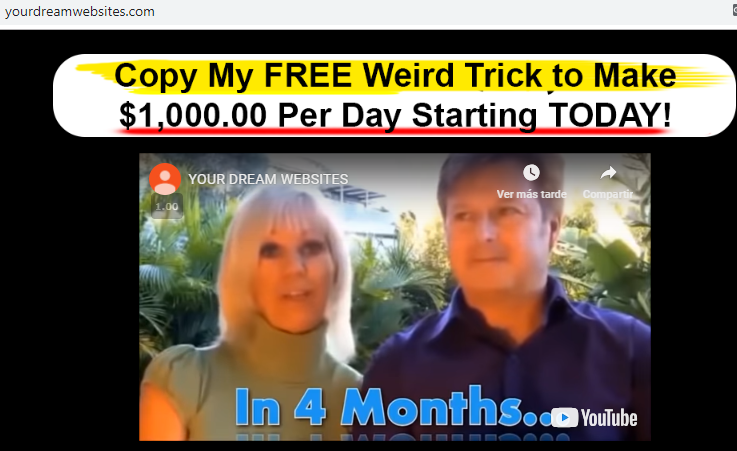 Even though he’s not promising millions overnight, he claims making $1,000 a day is easy and fast, which is very unrealistic and makes this system look like a get-rich-quick scheme. At the end of the video he shows you that there are $175 in the account he has created for you, but you need to pay a fee of $37 to access that account. He claims that if you don’t make the payment, you risk missing out your earnings. If you don’t hurry up, your account will be for someone else who takes action. So is this program worth $37? Will you receive that money-making account after paying the initial fee? Or does this program work differently than what “Jake” told you? How does Your Dream Websites really work? Your Dream Websites doesn’t work like the spokesman says because his websites will not work for you. You can’t just copy a website and expect to achieve the same success. There are lots of factors to take into account when it comes to succees. First of all, search engines like Google and Yahoo don’t like duplicated content, so copying one of Jake’s websites would not work. If you end up purchasing Your Dream Websites, you will not receive the kind of websites that can make your dreams come true. The websites they provide are one-page sites that are not designed for you to offer unique, original content. Because of this, this kind of sites do not get ranked on search engines, which means that they cannot get free organic traffic. Therefore, in order to drive traffic to these websites, you will have to pay for traffic, which is very risky because it requires you to do a lot of testing to find out what works and what doesn’t. Another way you can promote these websites is on social media and forums, but you cannot expect to get targeted traffic to these websites unless you have lots of targeted followers. The best kind of traffic that you can get for free is traffic from the search engines, but the websites they’re going to give you are not designed to work for organic traffic. This is one of the reasons Your Dream Websites doesn’t work like they told you. According to “Jake”, the more money you earn, the more he earns. So he will try to get you to promote Your Dream Websites and his other products or systems. This is actually a way to make money online and it’s called affiliate marketing. It’s a business model that consists in promoting other people’s products/services and make a commission for each sale. I’m very familiar with this business model because I actually use it to make a 4-digit monthly income, but I don’t like the way it’s being used in Your Dream Websites. I mean, they are marketing this product in a deceitful way, and then they’re telling you to promote it so that you can make money. Would you feel comfortable promoting a product that only works for the unethical people who have created it? I personally will not promote a product like this because it’s very misleading and not something I believe in. It’s not ok to try to make money by lying and deceiving others. One of the lies the spokesman says is that you’re one of the few to receive an invite. This is simply not true because there are looots of people who have watched the sales video and I know this because it’s uploaded on YouTube. As you can observe below, the video has over 63K views! So, it’s clear that many people have been invited to watch that video. Anyone with a laptop/smartphone and an Internet connection can watch that video, so there’s nothing special about it. Remember that he claims he’s making you money while you watch that video? So, is he making money to everyone who’s watching that video? There’s no way for him to create a money-making account for everyone who watches that video. It just would not make sense that he makes you money for free. Everyone would watch that video multiple times a day if it were possible! Not only that, many people would have already quitted their 9 to 5 jobs if making money online was free and easy. If you decide to purchase Your Dream Websites, you will not receive the money-making account he showed you because that account is fake! That’s right, that account is a ClickBank account that it cannot be yours! Why? Well, the reason for that is that they need your personal information like your name, your phone number, your email address… to create your ClickBank account. “Jake” doesn’t have that information so it’s impossible for him to create an account for you. And he will not give you an account with fake information, so this is all a sham. When I saw the testimonials, I remembered they have appeared in other scam videos. For example, they have appeared in Massive Internet Profits, Clone My Sites and Profit With Our Sites. In fact, the CMS and PWOS videos are the same as the Your Dream Websites video. This is what proves that Your Dream Websites is a rehashed program. Scammers usually use different names to promote their programs to mislead potential victims. They don’t want you to find the honest reviews of Massive Internet Profits, Clone My Sites or Profit With Our Sites. Another thing I want to point out is that Your Dream Websites could be a fake page to hide a high-ticket program because Massive Internet Profits was used to get people to join MOBE, which got shut down by the FTC some months ago. So I wouldn’t be surprised if Your Dream Websites was created to drive people to another high-ticket program like The Super Affiliate Network or Legendary Marketer. In fact, joining The Super Affiliate Network costs $37, and I have noticed that they’re using fake pages like The Profit Shortcut to promote this program. In case they try to get you into a high-ticket program, you can expect them to try to convince you to spend thousands of dollars in expensive products. What I know for sure is that these con artists will try to get way more than $37 from you. This kind of programs always have upsells. What about Jake? He doesn’t even show his face or say his last name, so how can we trust him? I have reviewed lots of programs like this one and they’re usually promoted under fake names, so I believe that Jake is a fake character and the real owner is hiding. They don’t want to get persecuted or sued by the people who get scammed. They want to keep creating scams. This is something most scammers do to prevent harming their reputation, especially if they have created other products where they show up. So, whenever you come across a website that has no information about the owner, start suspecting it’s not to be trusted. Whether Your Dream Websites is a scam or not really depends on your perspective. They provide something for your money, so that’s a reason some people will not call it a scam. However, it’s very misleading and they use lots of scammy tactics to “get” you, so it’s easy to feel ripped off after having purchased it. 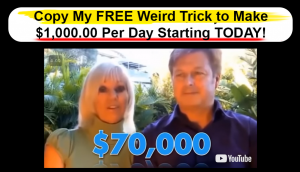 This program will not help you earn $1,000 a day so there are people who will feel scammed if they buy it thinking that they will easily make $1,000 per day. It was not created to help you make money. Instead, it was created to make you spend money. It’s not only me who says this, that’s something they state in the disclaimer you can find at the bottom of yourdreamwebsites.com. As you can read, the average customer doesn’t make any money with this system. So is Your Dream Websites a scam? It’s more of a low-quality program to me. It’s not a 100% scam because it’s sold on ClickBetter, which means that you can at least get your money back. That’s the only good thing I see about it. So you’re free to do whatever you want at the end, but my final conclusion is that I do not recommend Your Dream Websites. If you keep in mind that making a living online takes work and time, you will stop wasting your time & money on get-rich-quick scams. Generating a full-time income online is like anything worth achieving in life. It takes commitment, patience, learning and work. No matter the method you use to make money, you always need to put in the effort. With that said, there are methods that are more newbie-friendly than others and I’m grateful that I found one of them. I’m glad that I learned a proven method that has helped me make a 4-digit monthly income online, and I know I will have to keep making efforts to scale it up. This method I use allows me to make passive income and work from whatever I want as long as I have a computer and an Internet connection, which is very cool! It’s a method that doesn’t require me to pay a dime to drive traffic to my site and I don’t even have to deceive or lie to anyone to make this happen, which makes me feel good at the end of the day. There are many people doing the same as me so I believe that anyone who’s committed to doing the work can succeed in this business. Not only that, you will also be able to start today for free! Yes, you don’t need to spend a penny to make sure this business is right for you. So what about you? Will you keep wasting your time on scams or will you get on the right track to building your online business today? I hope this honest Your Dream Websites review has been helpful to you and you will make the best possible decision. Voice Cash Pro review – Scam? NO ONE TOLD YOU THIS! Auto Online Sites review – SCAM or get $1000 today? HIDDEN TRUTH here!